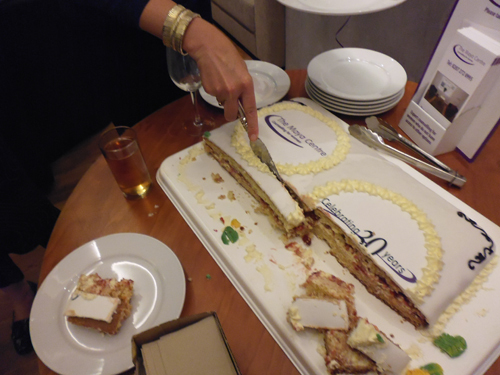 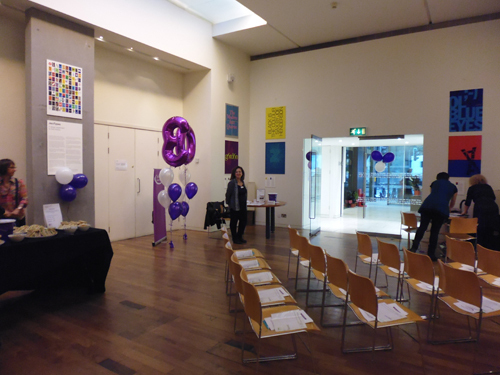 We celebrated our 30th Anniversary on World Mental Health Day, Friday 10th October 2014 with an inspiring evening of energy, emotion, entertainment and thought, culminating in a renewed determination to support women to overcome the impact of abuse, for as long as it takes! 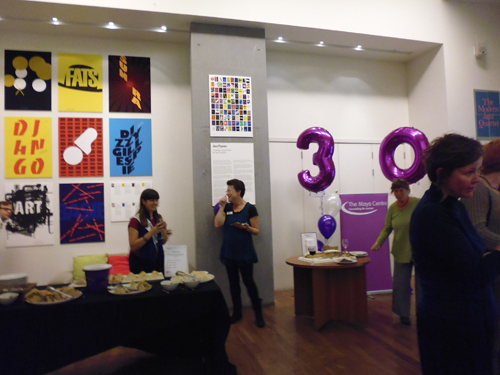 We had food, wine, balloons and a buzzing crowd of women and men celebrating with pride the achievement of thirty years of commitment to providing long term counselling for women who have limited resources. 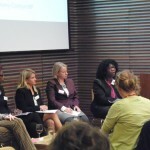 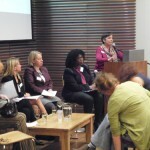 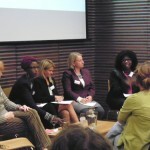 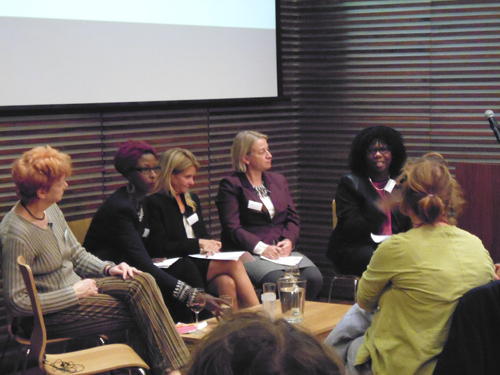 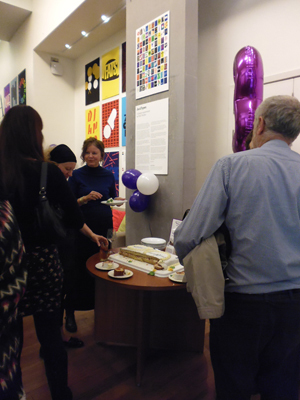 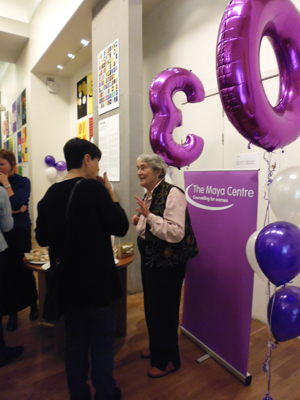 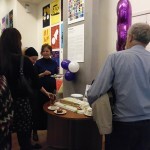 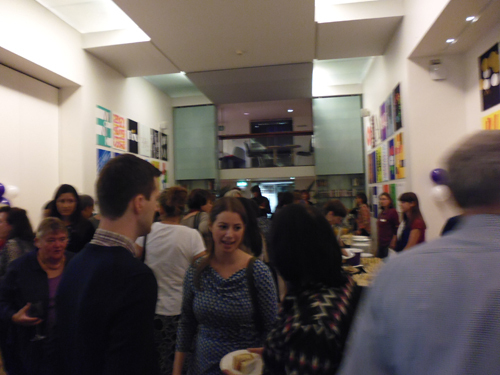 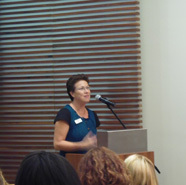 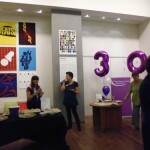 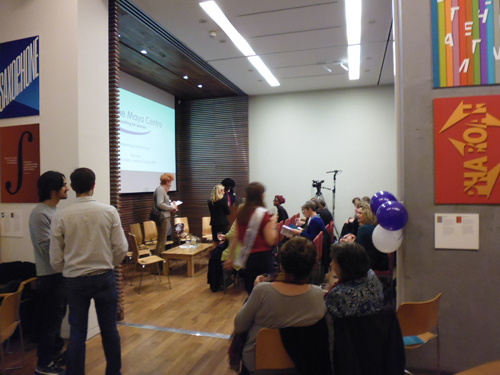 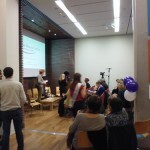 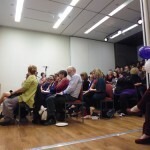 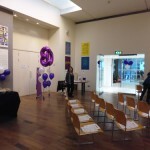 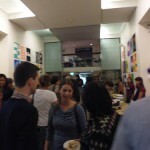 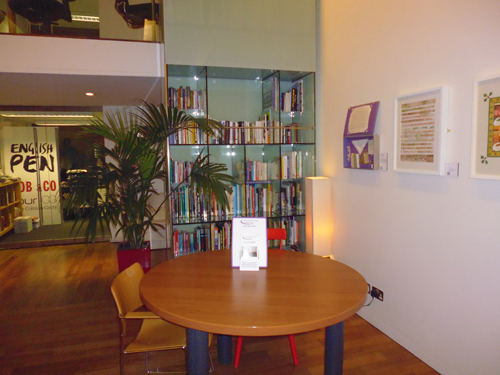 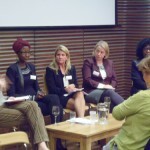 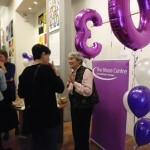 The Freeword Centre was a fitting location for our birthday ‘Talk Enables Change’ event. 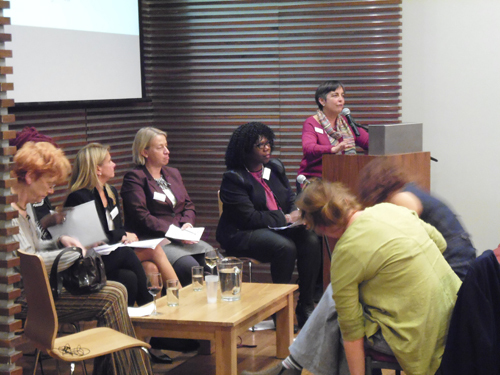 Putting into words the abuse which women experience is a critical step in challenging and overcoming its impact on women’s lives. 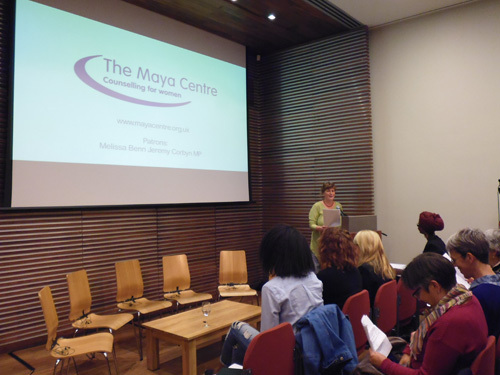 The Maya Centre enables women to speak, freely. 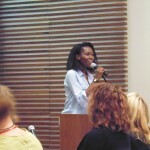 In a packed auditorium, Indigo Williams’ poetry moved us deeply. 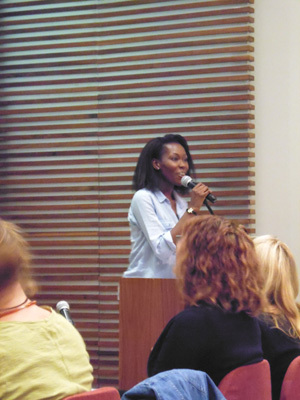 Here is a talented young woman whose eloquence can go with you into trauma and and be with you as you fight your way out again. 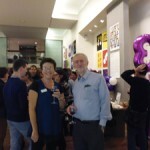 Inspirational. 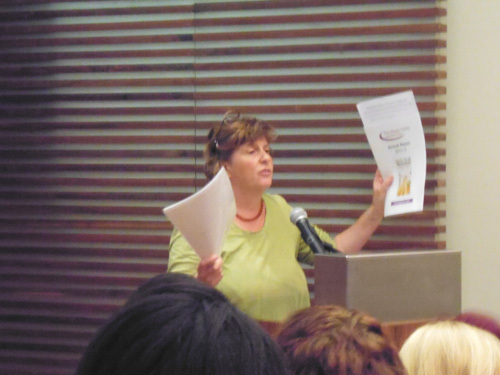 Look out for her first pamphlet publication. 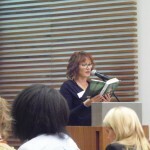 Jill Dawson has thought deeply on her own experiences and created many authentic and entertaining works of fiction. 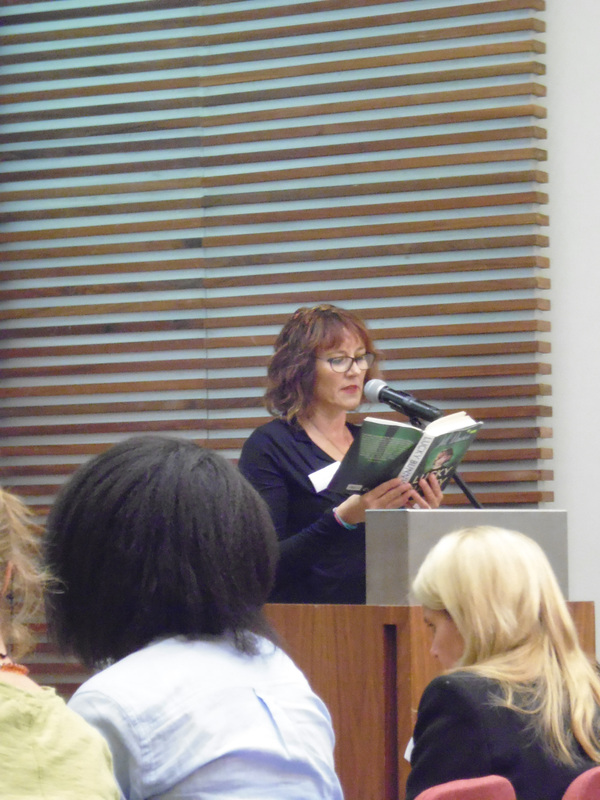 Her reading from ‘Lucky Bunny’ gave us a flavour of her talent, and how she can validate the real experiences of so many women in novels which reach out to a wide audience. 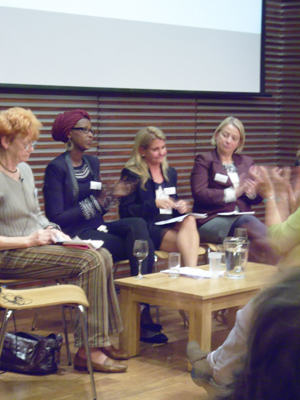 Naming society’s barriers to change – ignorance, poverty, lack of education and employment, and the abuse of power was part of the second half of our evening. 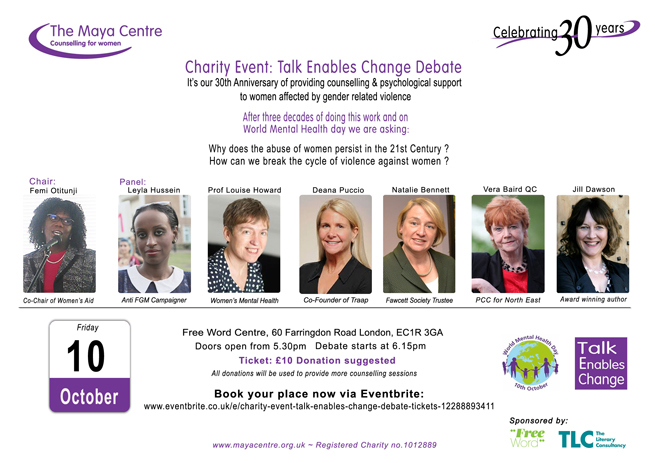 The purpose of our debate was to explore why abuse against women persists in the 21st Century, and how we can break the cycle. 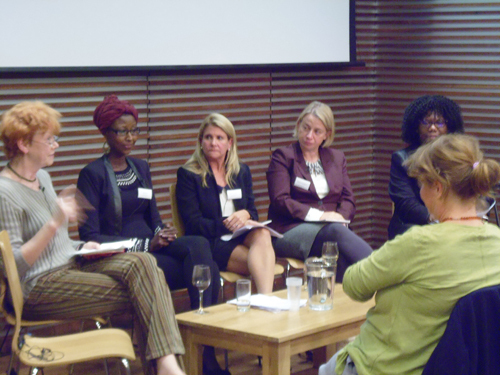 The really inspiring part was celebrating the achievements of the exceptional women on our panel in challenging and overcoming those barriers. 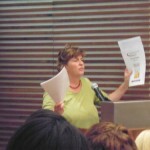 Professor Louise Howard brought in the NHS and its role in recognising domestic violence and dealing supportively with women in all health settings; and Deana Puccio spoke as a parent and trainer of young people in schools on personal safety and preventing sexual assault, and was really inspiring on the impact of education despite being at the end of a day with a room full of year 8 boys! 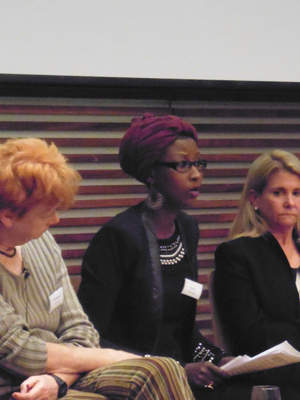 As Femi concluded, much work is being done, but there’s more to do to change the culture which allows violence against women to persist. 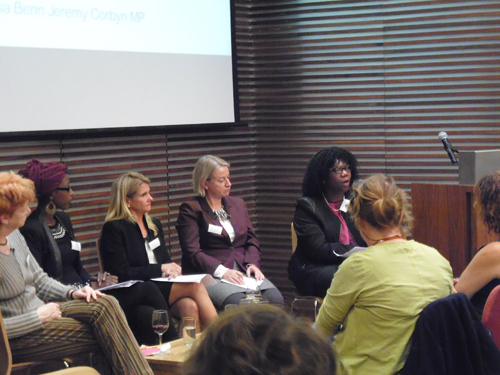 There’s no single answer, it’s economics, the criminal justice system, the legislation, education, including the education of our boys and men ‘We need to do the politics, not let it be done to us’. 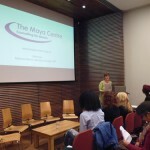 In 1984 the Islington Women’s Counselling Centrewas set up by a group of women, who felt that the particular damaging experiences of women subject to abuse were not recognised by statutory mental health services. 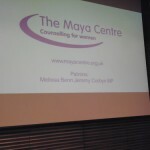 They campaigned for access to free psychodynamic counselling for women who could not afford to pay for a service not then available through the NHS. 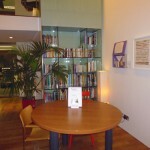 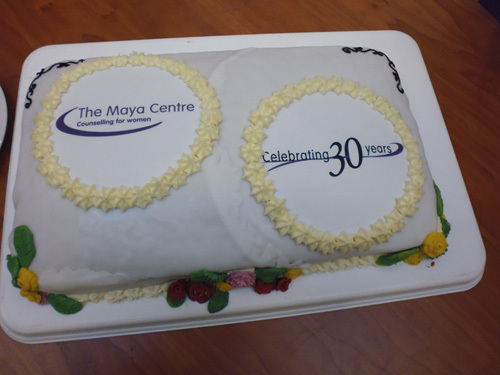 Over time the service grew beyond Islington and evolved into The Maya Centre. 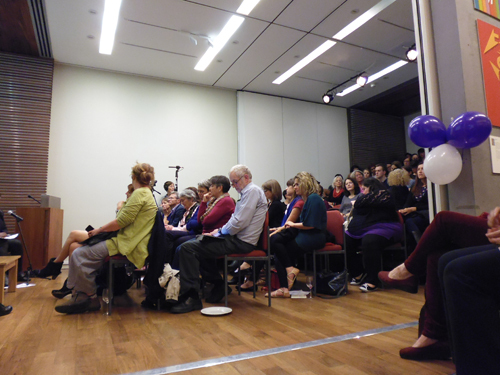 We realised that this sort of history is easily lost, so sought out some of the founding members and recorded their experiences and thoughts on film. 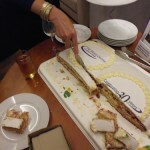 The film was premiered as a fitting part of our birthday celebration. 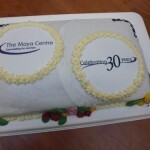 What a great way to celebrate 30 years of working for women! 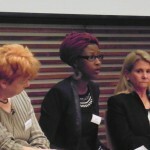 Hoda Ali; Nurse/FGM Campaigner in a Sexual Health and HIV clinic. 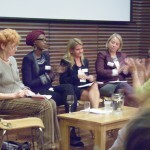 She has dedicated her Professional life to raising awareness of FGM. 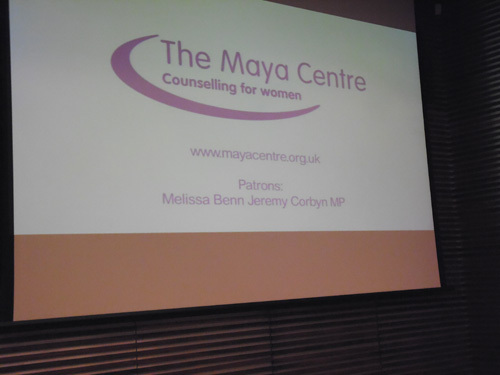 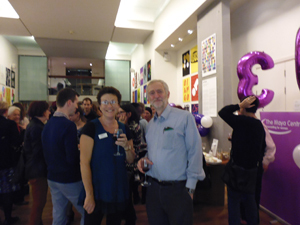 And special thanks to the patrons , Jeremy Corbyn and Melissa Benn who have loyally supported The Maya Centre for many years, the staff at the front line, trustees past and present, our funders and everyone who donates money in small and large amounts to help us to continue this important work.